Pink pearl earrings could be a good start to introducing your jewelry collection to various hues other than white. They are totally adequate for younger ages as well. You can even offer them as a graduating present or sweet sixteen gift. 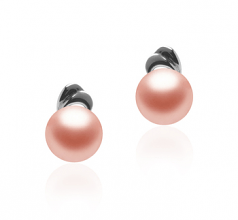 Earrings with pink pearls are versatile and can be worn on various occasions. Thus, here are some tips and advice on how to wear pink pearl earrings suiting the event.